• Weather safe - will not warp. • Hard surface for superior mat durability and extended blade life. 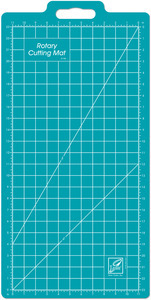 • Rule markings outside of cutting grid. • 11” x 23” grid mat.